There is a new food trend hitting Kyoto on … Gyoza! Gyoza are dumplings filled with ground meat and vegetables that are wrapped in a thin flour dough served by pan frying, deep frying, steaming or in soup. The traditional ones come usually with a combined fillings of pork ground meat, cabbages, green onions, ginger, and garlic. But in recent years there are many joints that are serving gyoza with unique fillings as well. These dumplings can be a great company to a bowl of ramen and beer or cam be enjoyed by themselves. These are fairly healthy eats as dumplings tend to contain lots of vegetables. It seems gyoza in Kyoto has been getting lots of attentions from tourists these days. In this article, I will introduce you to some of the gyoza restaurants that are popular among the locals as well as those that are favored by foreign tourists! So drop in at any of these 5 top gyoza joints for a sizzling plate of yummy gyoza! Mr. Gyoza is a very popular gyoza restaurant adored by the locals, located near Toji temple. Possibly no.1 place in Kyoto, this little joint has been featured in many TV programs, magazines and gourmet shows. Their gyoza are known for their ultra thin skins that become crispy when pan fried, with juicy fillings. Mr. Gyoza makes just enough gyoza for the day to ensure the freshness of gyoza so they close their restaurant when they run out of gyoza even before their official closing time of 9pm. Therefore if you want to get their famous gyoza, you must get there early. Though everyone goes there for gyoza, Mr. Gyoza also serves several kinds of ramen for those interested. One thing you must try along with gyoza is a pickled whole cucumber. It is such a simple dish of a whole crispy perfectly pickled cucumber but it is a perfect compliment to your gyoza. One plate of gyoza (6pcs) is ¥270 and the cucumber pickle is ¥200. Chao Chao Gyoza has been the most popular spot that attracting our foreign guests. And they are right in choosing this place because Chao Chao has won the gyoza championship (yes, there is such a thing!). The uniqueness of this gyoza restaurant is its wide variety of gyoza and other items they offer. Obviously you would want to try their signature chao chao gyoza which is a perfect bite sized super crispy gyoza (¥600 for 16 pcs). Other recommended items include: shrimp gyoza, chicken and mozzarella gyoza as well as shiso (Japanese basil) gyoza. Why don’t you also try their chicken wing gyoza (chicken wings are stuffed with gyoza fillings and deep fried). They have an extensive menu outside of gyoza including salad and sweets. The English menu is available and many staff can speak some English so explore the unique world of gyoza! 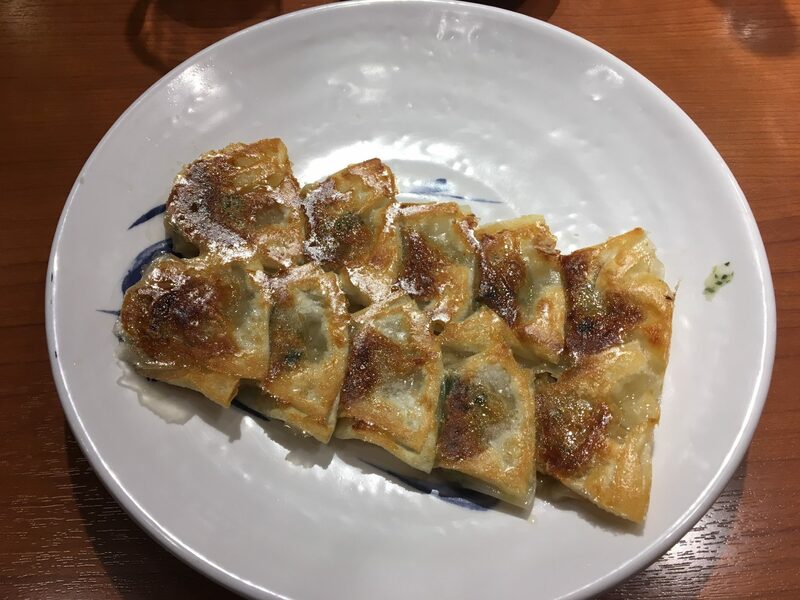 Chao Chao Gyoza– Sanjo Kiyamachi is located within several minutes walking distance from Sanjo station. Anzukko is another great gyoza restaurant popular among the foreign tourists. Anzukko is known for their cast iron skillet fried gyoza, which is offered at ¥1,080 for 12 pcs. Perfectly fried and yet still juicy inside, their gyoza are to die for. Just like Chao Chao, they also offer an extensive menu of gyoza as well as other items. Another recommended gyoza to try is white soup gyoza in an iron pot, which is so creamy and perfect for cold days. Anzukko offers 3 kinds of local craft beer from Osaka called Minor beer. Sizzling gyoza and a glass of craft beer? Anzukko is around 3 minutes walk from Kyoto Shiyakushomae station. This is a gyoza specialty shop located in Gion that is popular among the locals including maiko (apprentice geisha). Senmonten specializes in gyoza thus offers only two kinds of gyoza: original and shiso (Japanese basil). The uniqueness of their bite-size gyoza is that they don’t have a strong smell since there is no garlic inside. Also they use Chinese cabbages instead of the regular cabbages. These light-flavored gyoza are extremely popular among ladies. Their original gyoza as well as shiso gyoza are ¥530 for 10 pieces. Senmonten is located along Hanamikoji dori street, around 6 minutes from Keihan Gion Shijo station. Another great specialized gyoza restaurant is Sukemasa. If you want to try Kyoto style gyoza, this is the place for you. They procure the best possible local pork, cabbages, green onions from their partner farmers in Kyoto. They also use miso for their filling which gives the unique Japanese flavor. It is a popular spot so you might end up in a cue if you don’t go early. Their gyoza is ¥360 for 6 pieces. But the recommended option is to order a gyoza set which comes with 12 pieces of gyoza, rice, soup, and pickles for ¥780. Mr. Gyoza・・・Possibly no.1 place in Kyoto, this little joint has been featured in many TV programs, magazines and gourmet shows. Chao Chao Gyoza・・・Chao Chao Gyoza has been the most popular spot that attracting our foreign guests. 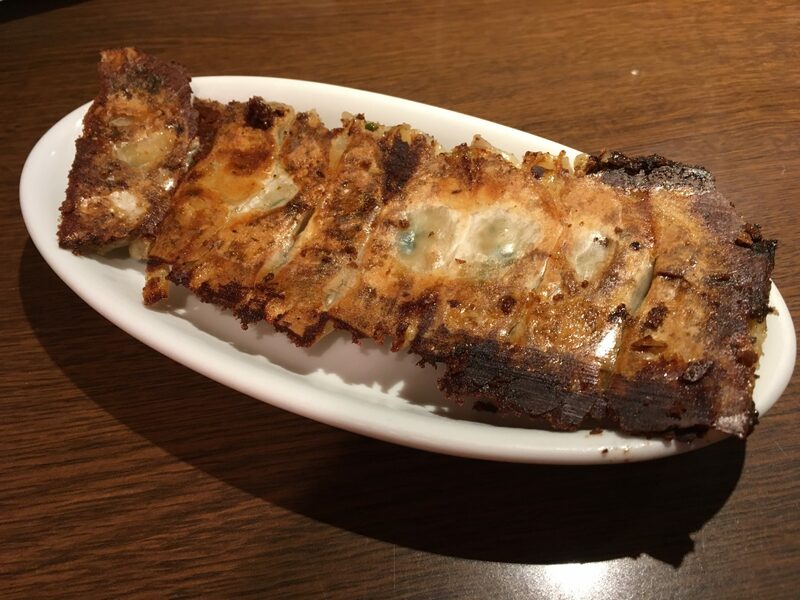 Anzukko・・・Anzukko is known for their cast iron skillet fried gyoza, which is offered at ¥1,080 for 12 pcs. Senmonten・・・This is a gyoza specialty shop located in Gion that is popular among the locals including maiko (apprentice geisha). 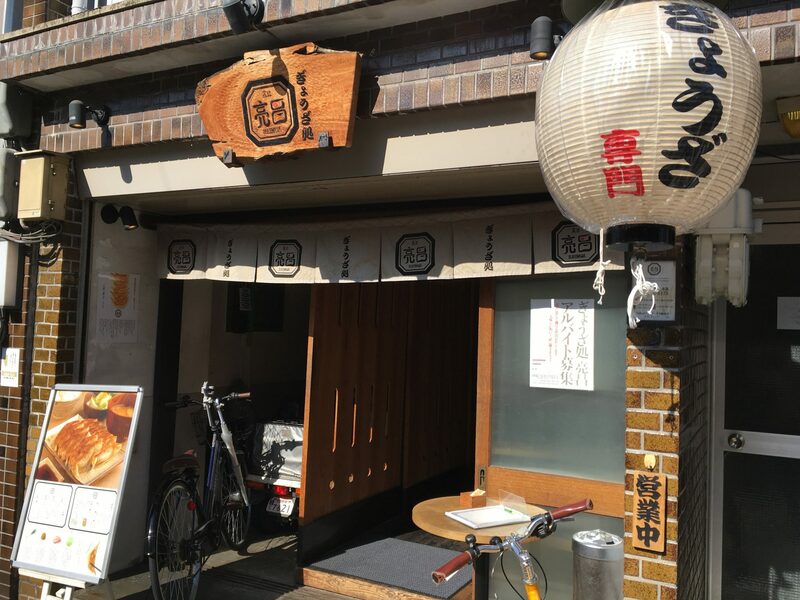 Gyoza-dokoro Takatsuji Sukemasa Shijo Head Office・・・If you want to try Kyoto style gyoza, this is the place for you. I hope you enjoy the great gyoza in Kyoto! If you want to explore the back-streets of Gion and Ponto-cho, Try this Kyoto Bar Hopping Food Tour with MagicalTrip .